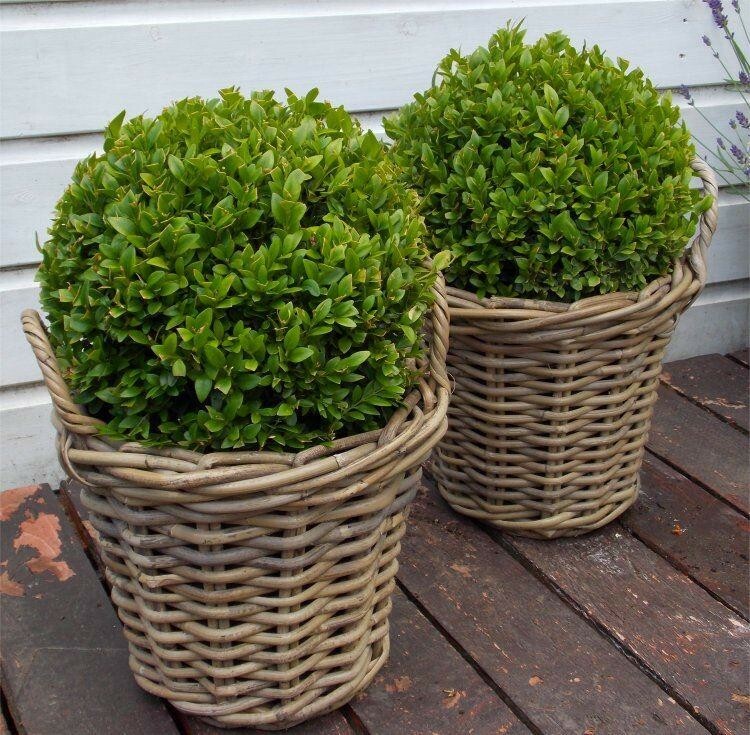 A Pair of these lush Buxus Topiary balls, complete with smart wicker baskets would make beautiful accessories in any garden. 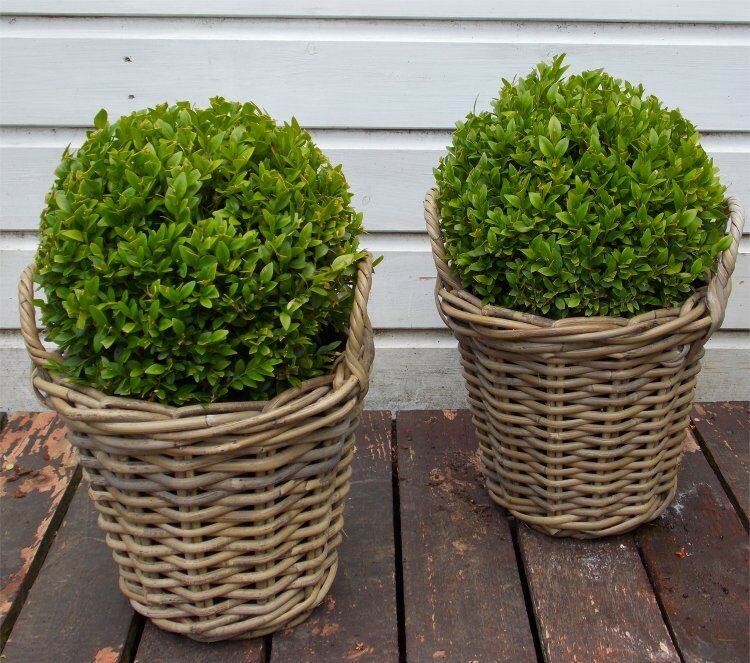 Each Pair of these stunning evergreen spheres arrived ready planted with attractive cane planters for your convenience, so all you have to do is position the pots where you would like them and enjoy - gardening couldn't be easier! Supplied as strong plants clipped into neat spheres with an approx diametre of up to 25cms. Total height including planters is around 40cms. Typical plants as supplied pictured.